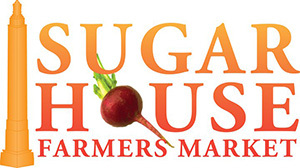 The Sugar House Farmers Market believes in “growing farmers” and is proud to introduce small and emerging urban farms to the community. While our emphasis is on local farmers and ranchers, we also provide booth space for arts and crafts, packaged foods such as cheese and pasta, and prepared food for eating on site (stay and have dinner with the family!). We are excited to offer live, scheduled entertainment each week as well as special activities for kids, like the Junior Farmers Passport (in partnership with Slow Food Utah) and fall pumpkin carving. This year, we are also offering weekly booth space to young entrepreneurs age 16 and younger. The market will run Friday afternoons from 4-8 p.m., July 13 – October 19 at the Parleys Creek Pavilion.